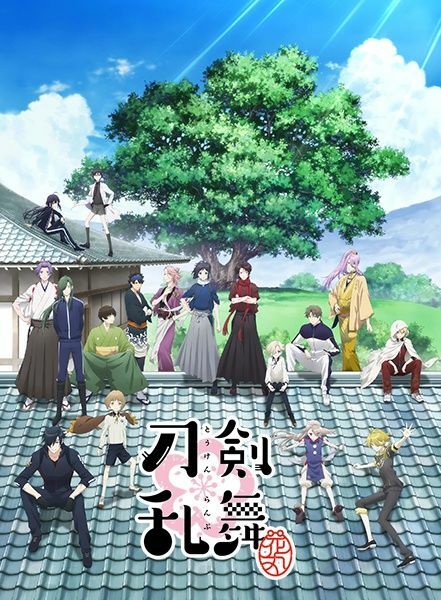 Touken Ranbu: Hanamaru opens on the life of Yamatonokami Yasusada, Souji Okita's beloved uchigatana, as he begins his first day at the Saniwa's citadel. Soon reuniting with his old friend, Kashuu Kiyomitsu, the two are caught up in the daily antics of their fellow sword warriors. They never miss an opportunity to have fun, whether it be through wild snowball fights or introducing their newest comrades to the citadel. Of course, when the government calls, the swords are always ready to fulfill their mission of protecting history.